Blueberries are absolutely one of my favorite foods to eat. I try to eat them every day and just love them in my morning Berry Protein Smoothie! Natural medicine has long held that these round purple berries give long-life health benefits that far exceed their tiny size. Native to North America, blueberries are rich in proanthocyanidin, contributing to blueberry benefits that include fighting cancer, losing weight and glowing, young skin. Blueberries are also rich in vitamin C, vitamin K, manganese and other antioxidants that lead to its numerous other health benefits discussed below. 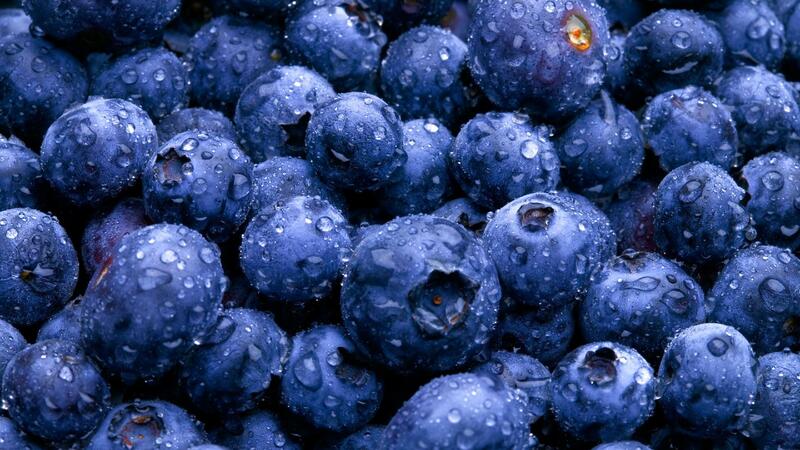 Of all the nutritional components of the blueberry, gallic acid stands out for a couple reasons. One, most people have never heard of it, and it is definitely worthy of mention. Third, as the research indicates, gallic acid is a powerful antifungal/antiviral agent and is an extremely effective antioxidant. This combination makes gallic acid-rich foods like blueberries a natural medicine powerhouse not to be reckoned with! After learning about the nutritional facts of blueberries, I’m sure you can see how challenging it was to narrow down the top health benefits of blueberries to just seven. But after some extensive research, I feel pretty confident that this list does the mighty purple fruit justice! In fact, University of Maine researcher Vivian Chi-Hua Wu states that, “Addition of wild blueberries to diet can alter the balance of gut microbe in favor of members of the Actinobacteria phylum.” Wu and her team discovered that wild blueberries have prebiotic potential, which promotes growth of good bacteria (probiotics) in the colon and promotes digestive and health benefit. Because low glycemic index foods are absorbed more slowly, they stay in your digestive tract longer. This is why these foods are sometimes called slow carbs. These foods may help control appetite and delay hunger cues, which can help with weight management. Balanced blood sugar also can help reduce the risk of insulin resistance. So enjoy a hearty helping of blueberries as often as you can! For fun blueberry recipes, check out our Recipe Box.